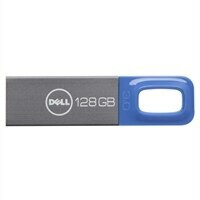 USB flash drives from Dell™ allow you to save documents, share photos, music, videos and more. The handy USB flash drive is available in a lightweight metal casing and is a great accessory for slim notebooks and tablets. Its small, capless design can easily be attached to a keychain or elsewhere for accessibility and safety.